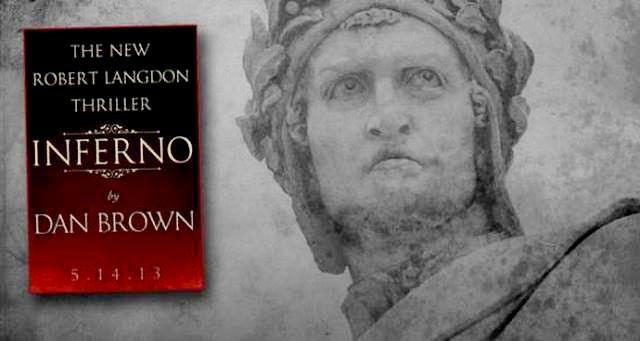 I recently had the displeasure of reading Dan Brown’s new novel, Inferno, because I heard it had transhumanist themes. Essentially, it was the same book as Angels and Demons and The Da Vinci Code except this time the backdrop was Florence, Venice and Istanbul instead of Rome. In characteristic Dan Brown style, the research was shoddy, the Catholic Church was the bad guy, and complex issues and philosophies were given the shallowest of treatments leaving the average reader believing in fiction set up as fact. As a result, I found this book beyond painful to read. Considering that I love to read just about anything, that is saying quite a bit. Where do I begin? First, Brown sets up a fictional problem — human overpopulation — and awkwardly places it in the middle of secret codes and Renaissance art, fiction and architecture. Of course, Robert Langdon is back to race all over European cities trying to stop something sinister. Wait. I have heard that before. Ah yes. First it was Robert Malthus in the late 18th century warning us of catastrophe because of overpopulation — catastrophe that has yet to happen. Then it was Paul Ehlrich, in his book The Population Bomb, (the cover of which asks, “Population control or race to oblivion?”) who told us that because of overpopulation, there would be mass famine by the 1980s. I am sure Ehlrich thought his math was indisputable too. Of course, Brown does not take the time to debunk the overpopulation myth. A quick look at the United Nations Department of Economic and Social Affairs Population Division report World Population to 2300 would have revealed that the human population is estimated to level out under 9 billion and then decline. Or a quick Internet search would have shown that the UN Food and Agriculture Organization predicts that by 2030 global food production will exceed the population growth. Ah details. They get in the way of a good fictional narrative where the world’s problems can be blamed on the Catholic Church. Zobrist is a transhumanist who is eager for the advent of the “post-human,” an engineered human that is resistant to illness, ignorance and death. Zobrist is afraid that the catastrophe of human overpopulation will destroy us all before we can become “post-humans” that can live better lives longer. Never mind that human overpopulation might actually be a problem if all humans could live for hundreds of years or even forever. Zobrist also commits suicide which seems as likely for a “want to live forever” transhumanist as it would be for a devout Catholic. But from there everything goes downhill in a hurry. Turns out Sienna was Zobrist’s lover and is also a transhumanist. She is the “good” kind of transhumanist. The super smart, compassionate kind that everyone can love. And when they finally find Zobrist’s “plague” under Istanbul, it has already been released. It is not a plague after all; just a sweet little virus that renders one-third of the population sterile and the other two-thirds less fertile. Despite the fact that he has his hero Langdon reply “Sounds ominous.” when he first learns about tranhsumanism, his transhumanist side kick and misunderstod [sic]heroine FS 2080 has the first name “Sienna”, a type of brown. This was a conscious choice of the author and not an accident obviously. After I finished the book I started to suspect Dan Brown is a secret transhumanist and was hanging out on some transhumanist forums around 2010-2011 under a pseudonym. While Inferno does expose transhumanism’s links to eugenics, especially in the forced sterilization arena, the problem is that Brown leaves the reader wondering, “What is the harm?” I am sure the populace during the early 20th century eugenics movement felt the same about the forced sterilizations that went on in the name of “bettering mankind.” Let us never forget that eugenics was the tinder for the Holocaust in World War II. People like trash books, especially trash books that trash the Church of Christ. “Let us never forget that eugenics was the tinder for the Holocaust in World War II”; is not exactly the case. Killing perceived lesser people did not start with the modern eugenics movement, it has been going on for thousands of years. Hitler was a mongrel himself and a paranoid, illogical, demagogue at that We have a handful of them in command here and throughout the world. Brown has been given a glimpse into his own future. The veil over his eyes are the royalties from his book so he’s oblivious to Salvation.